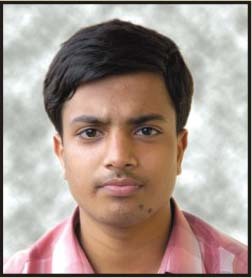 Hi, I am Utkarsh Gupta and i am from Kota. I have secured a rank of 17 in general category. I am happy on my success, I was sure that I would be selected. I give credit of my success to my mentors (RKV Sir, AGL Sir, SM Sir, CSS Sir) and to my parents who supported throughout the preparation. Daily homework, Consistent hard work leads me to success. Hard work and practice. Resonance provided me a great study environment and dedicated coaching, which helped me crack JEE(Advanced) with flying colors. I am quite sure that without Resonance, the results would have been very different. 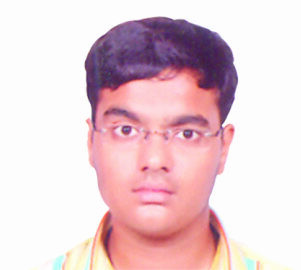 I am Parth Shah of Ahmedabad, Gujarat and acquired AIR-91 in general category. I was shocked by my result, no doubt i was sure that i would be selected but i never expected my rank in top 100. I anticipated my AIR around 200-300. My teachers, parents, and especially my grandparents were major support system all the time till last my grandparents are the reason behind my success. I never missed my classes nor homework. I paid 100% attention in class and had healthy discussions with friends and teachers which were my main daily goals. One should do hard work regularly and give their best and never fear of the result. 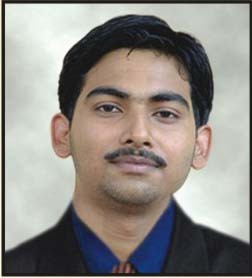 My name is Sarthak Vishnoi & i am from Surat. I have secured rank 97 in general category in JEE (Advanced). I am very happy with my success. Yes, i was sure of my selection in IIT-JEE but not about landing in top 100. It was like a dream come true moment. The faulty here at Resonance, the study material and every other thing is at perfect level and ensures a student's success. Moreover my family also provided me support and encouraged me to perform better. JEE preparation is like a long activity, it’s not a single day work. I basically prepared by doing all the modules given here, paying attention in classes, studying hard and by having a positive attitude. There are many memorable experiences here at resonance and i would like to share one of them. it was the day when SM sir(Chemistry) took us to the Chemistry lab and we performed all the experiments and saw all the reactions which till now we were studying theoretically it was very enjoyable day and also cleared many of our concepts. 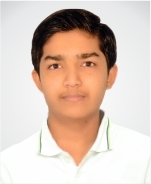 "I am highly elated to score such a good rank in JEE(Advanced) 2015 and I would say that Resonance was the main reason behind it. The study material provided by Resonance is simply incomparable and more than sufficient. All the faculties here are really really good.After my 2 years long journey with Resonance, I now feel that I know more than 100% of the JEE(Advanced) syllabus and questions. This is all because the faculties teach you in such an effective manner. The IP Batch of Resonance is the best as it provides the perfect environment , perfect competition and perfect teachers. The level of our entire batch was very high. I enjoyed and actually had fun while learning. If somebody used to ask me what I would do for some entertainment, I would say I study because I enjoyed learning so much there and never got bored of it. The tests that were conducted for JEE(Advanced) were really tough and high level. There were 3 tests per week and we had to solve grueling questions in less time. All this made us more knowledgeable and prepared us perfectly for the final exam. Even the DPPs were very beneficial. Al last I would say that RKV Sir, AGL Sir and SM Sir were the best faculties I ever had in my entire life." "Today I am really very happy. This was my father's dream which became a truth. When I started my course with Resonance I dint even have any idea that I would land up in top 50 of such a prestigious examination of the country. I dedicate my success to all my faculty members. They have done a lot of hard work on us. I would also like to thank my parents and friends for their vital support. For clearing JEE, just make it sure that you are very attentive during each class, after reaching your room you should revise the whole class notes thoroughly, complete all of your homework with full dedication, clear away all your doubts even if they are minute, and if you have time left then revise your weak points and practice questions. After each test ponder over your mistakes and take guidance from the faculties. During self-study time don’t focus on how much time you studied, rather focus on how much you have studied. Practice questions with speed as required in JEE, don’t just run towards any guides, reference books, first talk to your faculties. At last I would say, don’t get deviated from your goal at any point during the course. Don’t take any stress, it will just harm you. ..."
"It is not only the rank but also the journey which matters to me. My two years at Resonance were really adventurous and completely transformed me. It was the enormous efforts put in by AGL sir, RKV sir, SM sir and CDS sir that brought the result I got. This two year preparation of JEE was tough, challenging and filled with lots of obstacles but the support that i received from my parents and my teachers at Resonance actually made it memorable. Cheers to Team Reso." "My journey with Resonance started 3 years ago. It has been the most amazing experience studying in Resonance.I gained a lot of experience like how to cope up with different situations in life. My biggest supports have been my parents and teachers at Resonance. Their guidance and motivation have been the true back bone. I was highly satisfied with the study material provided here. The message to the students is believe in yourself and never quit because the result is directly proportional to your hard work"
"I am extremely happy about my success. I have really worked hard in these 3 years and finally got the fruit of my hard work. My parents supported me throughout and Resonance also guided me through its study material and tests. The faculty members over here are highly experienced. My advice to all the students is work hard and work regularly." "I am very proud and happy about my rank. I feel the contribution of everyone has really paid off. I want to thank Resonance for all the support they gave me. I was a very average student till class 10th. But the teaching methodology at Resonance helped me in gaining confidence. My mantra of success was to be attentive in the class and grasp whatever was taught in the class." 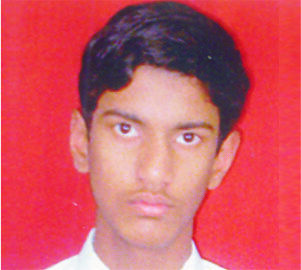 "I joined Agra centre of Resonance in Class 12th. My preparation at Resonance infused confidence in me from the very first day. Today, after achieving success in JEE – Advanced exam, I give full credit of my success to my family and my teachers at Agra centre. The dedicated faculty team of Agra centre, well organised study material and accurate test taking pattern gave me a sound preparation before taking the exam. The daily practice problems (DPPs) were vital for revision of previously taught chapters. The complete syllabus of class 11 and 12 was thoroughly discussed and the loopholes were filled. I would suggest all my friends preparing for JEE that they should enjoy their studies and make a good balance between reading theory and solving problems to strengthen their grasp of the subject." "My preparation at Resonance infused me with confidence right from the very first day, the confidence of studying in one of the best institute for JEE preparation. 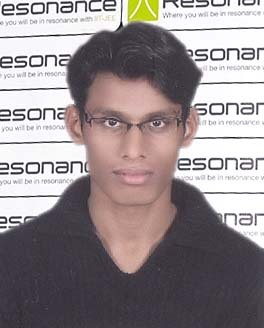 I have been a regular classroom student of Resonance since class-VIII. Everything at Resonance is too good. Academics, faculty, study material and even the emotional bonding between faculty and student keeps you motivated and help you build a belief in yourself. I would suggest all my friends preparing for JEE that you should enjoy your studies." 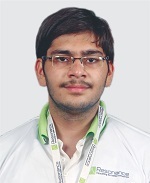 "I was completely sure about my selection in IIT-JEE 2012. Credit of which goes to my parents, my brother and my mentors at Resonance Jaipur. Commitment and hard work are must to get into IIT." 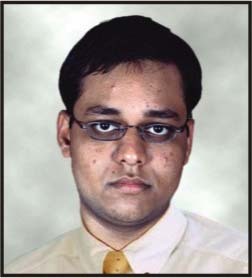 "I always knew that I would be selected in IIT-JEE but never knew that I would stand amongst top-100 rankers. Interest for the subject, dedication and hard work in proper direction with proper planning is required to get into IIT. Credit for my success goes to my parents and whole Resonance Team." 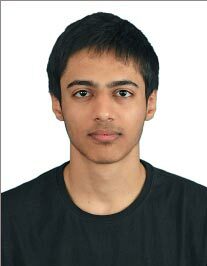 "I am a student of Class-XII (CBSE), I had confidence that I would do well but I had never imagined that I shall be among the top-100 at IIT-JEE 2012. It's like a dream come true. Credit for my success goes to Resonance Gurus for developing me to meet the tough JEE challenges, my parents, my elder brother and friends. Willingness to study engineering in the best engineering colleges inspired further. Hard work, time management, sincerity, commitment, confidence and faith in God were my essentials which made my path easy to get into IIT." 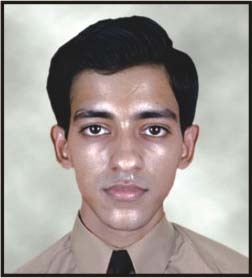 "In Class XI, I was one of the 20 students of IA batch. At that time we were just nothing in terms of knowledge. We were fully made up & brought up by Resonance. 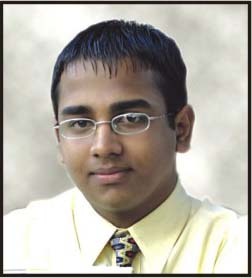 None of us thought that one day we all will be so close to getting top ranks in IIT-JEE 2011. No one know at that time who we are & what we can do. It was the hardwork of Resonance that brought up a challanging personality in us. I appreciate the study material which included Sheets, DPPs, Test Papers provided to us by Resonance"
"I liked the environment at Resonance and specially the fact that teachers would always answer all questions related to their subject, even those unlikely to come in IIT-JEE. I also liked how other students would freely discuss each other’s doubts. 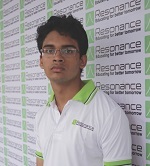 The teaching as well as testing quality were really good, and I am grateful to Resonance for it." 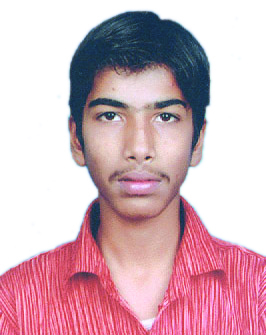 "IIT-JEE is a difficult exam and I never thought that I could crack it. But Resonance motivated me to work hard and gave me confidence to do anything. It is due to the guidance of faculty and their teaching style along with very good support that I managed to get AIR-14 in IIT-JEE 2011." "The Resonance Test Series proved very helpfu in my preparation. Most of the questions in IIT-JEE were from the Resonance Test Series itself. 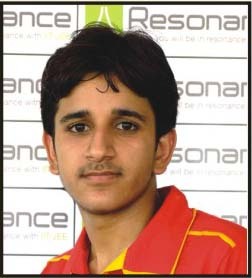 I am thankful to Resonance and according to me their Test Series is just superb." "Resonance proved to be much better than I had expected. My success today is in large part due to my faculty and peers at Resonance. 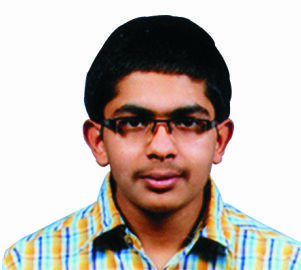 In my enriching experience with Resonance, lasting two years, the focus on concepts and rigorous practice helped me crack JEE and also the International Physics Olympiad." 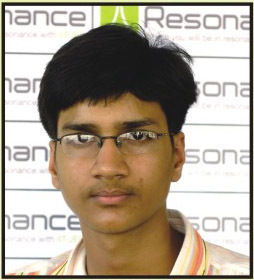 "Resonance's test series helped me to get practice before the real IIT-JEE. It provided me with a wide variety and varying levels of questions. 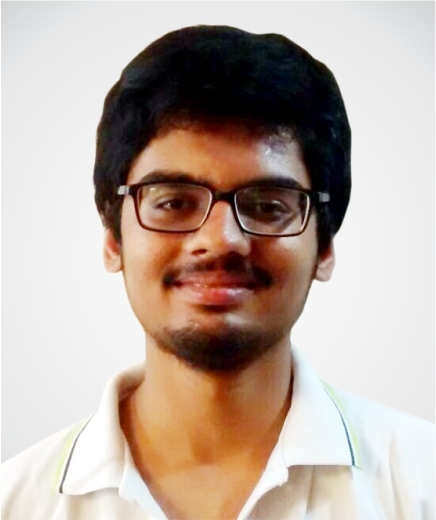 If I hadn't joined the Resonance Test series , I wouldn't have got such success in IIT-JEE"
"Resonance helped me realize my potential and fully capitalize on it. 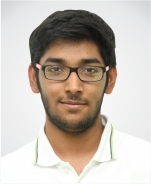 I was a part of Resonance since the time I was in 9th standard and in particular , I would like to mention the conducive teaching environment of Resonance as the one major factor that brought me all my success." 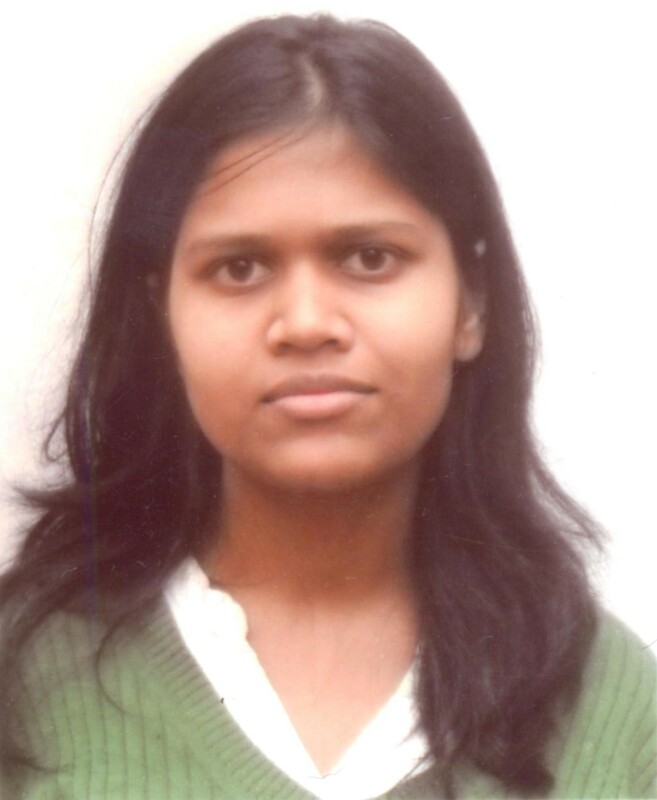 "I am more than thankful to Resonance for helping me crack the IIT-JEE with flying colors. The teaching methodology and the way the faculty approached all my doubts was excellent and I still find that mentoring helpful in my studies here." 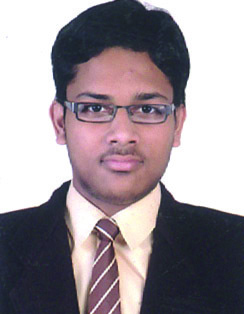 "The credit goes to Resonance for my success in IIT-JEE as the study material benefited me a lot in the preparation. I was also able to judge my preparation level against all other JEE aspirants"
"Though JEE demands a lot of hard work on the part of the student, a proper channelisation of work is equally important. Resonance gave me the guidance, with proper training, appropriate classroom atmosphere, good competition and perfect attention, which made if for me and motivated me to score well in JEE. Moreover, the faculty here ensures and optimum level of confidence in the students, which is critical for an exam like JEE." 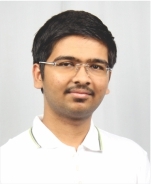 "I would like to thank Resonance which provided me a correct path to IITs. 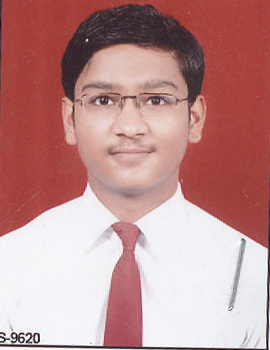 The Quality education provided by the best faculty at resonance helped me in getting a good rank in JEE. The study material including Modules. DPPs, Test papers, is well tuned with JEE. The healthy competitive enviroment amplified my perfomance in every test of Resonance & finally in JEE." 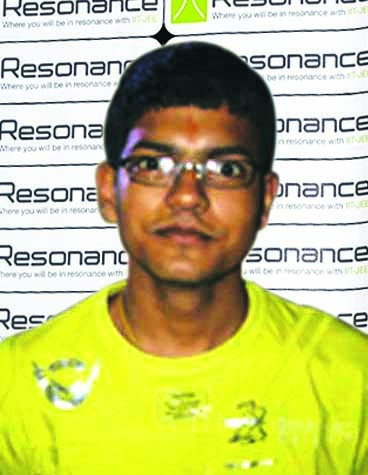 "Personal care and motivation provided by Resonance gave me enough strength to crack IIT-JEE 2009. I received 50% and then 100% scholarships in consecutive years in coaching fees at Resonance . My faculty members contributed a lot by boosting my morale , time to time . They made me learn that there is never a bad performance and that one improves gradually . 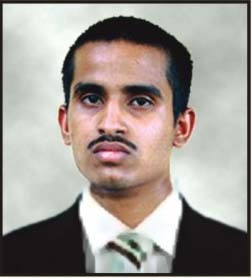 Periodic tests made me practice hard on the conceptual part finally making me attain ALL India Rank-65 in JEE2009 . At the end, I want to thank my parents and all my faculty members for supporting me throughout ." "Before joining Resonance, I could'nt expect to procure the seventy fifth All India Rank, but due to the persistent efforts of myself and my faculty memebers, I could attend a good AIR and made my dreams come true. The dedication of my faculty members ignited in me the spark to excel in studies and prove my merit. Regular practice and periodic tests inculcated in me the confidence to take IIT-JEE with ease and comfort. I want to thank Resonance for showing me the path for excellence, both personally and professionally.It is one of the best institute for IIT-JEE aspirants." 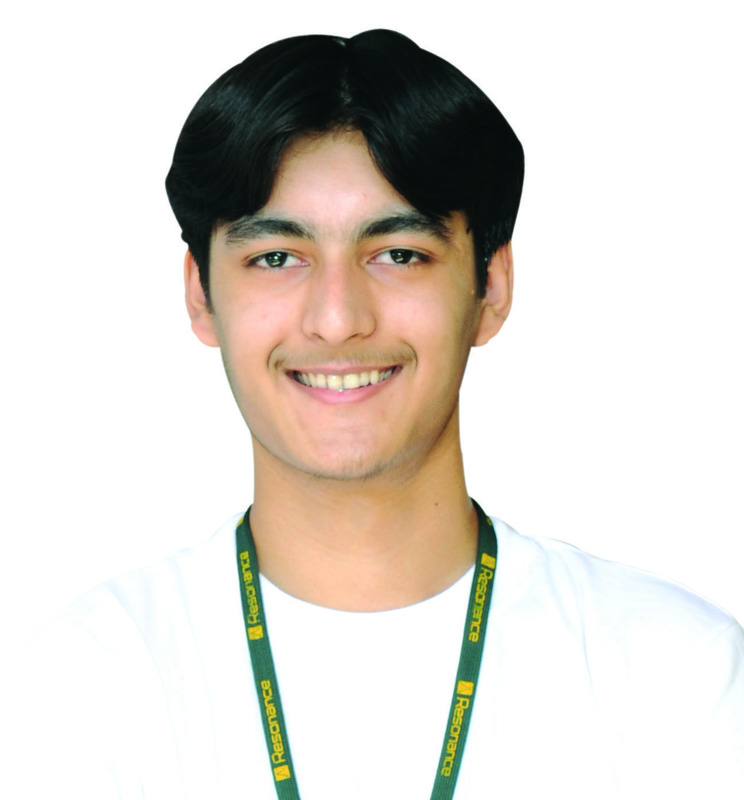 "I had started my preparation for JEE being a complete novice . My previous knowledge was pretty much raw . Resonance gave direction to it and the new innovative ways of learning and gaining knowledge completely revolutionized my way of thinking .The study material provided by RESONANCE was carefully made in a sequential manner and was a great help .The teacher were also motivating and always ready to help the students in any way they could . I thank Resonance for helping me to achieve what would have been very difficult to achieve otherwise." "In Resonance with IIT-JEE'' , The punch line correctly suited me when I was studying in Resonance . The faculty and the atmosphere here always made me feel quite comfortable not only with JEE but with international competitions like Olympiads .The study material here never made me feel to consider outside materials . I truly thank Resonance for my success." "The step to choose Resonance was really crucial especially when there were many people to oppose me. But ultimately Resonance has given me the chance to proudly say that I am AIR-42 of IIT-JEE-2008 . 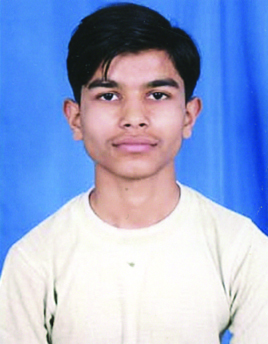 The teachers , staff , other officials and the study material provided effectively helped me to make into IIT-JEE 2008 . For my success in IIT-JEE and other exams , Resonance has equal contribution as myself . THANK YOU RESONANCE !!!''" 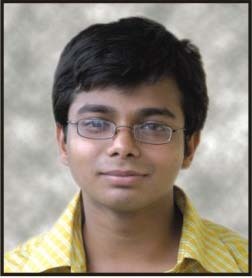 "I always happened to be an under confident boy and cracking IIT-JEE was only a dream to me . Because this exam needed knowledge , skills , competitive edge and above all confidence , which I always lacked . Then I joined Resonance and guess what , my dream turned into reality"
"Being awarded Gold Medal in International Olympiad in any subject requires great love , for the subject and an induct knowledge . I felt that faculty members of Resonance helped me cultivate such qualities which got a Gold Medal in International Physics Olympiad . Clearing the IIT-JEE with AIR-20 require a balance of studies in all the three subjects Physics , Chemistry & Mathematics . Only with constant help from Reso faculty members I was able to strike a balance in the 3 subjects . The faculties work hard and very efficiently with students in order to cover up the weaker zones of students ." "Resonance is the place where one can actually study like he wants to study . At Reso , there is right environment for the studies as there is best faculty , very good study material , healthy competition among the students , . . . . and much more shortly speaking an ideal place for getting into IITs ." "Perhaps the shortest and the easiest path to the IIT is through Resonance . The perfect recipe of excellent teaching technique base with toppings of the compact study material is what Resonance offers. But why I love Resonance is for its environment . The feeling ''We are always there with you'' that is what you have with your teachers rather than a mechanical system that comes crashing on to the students . 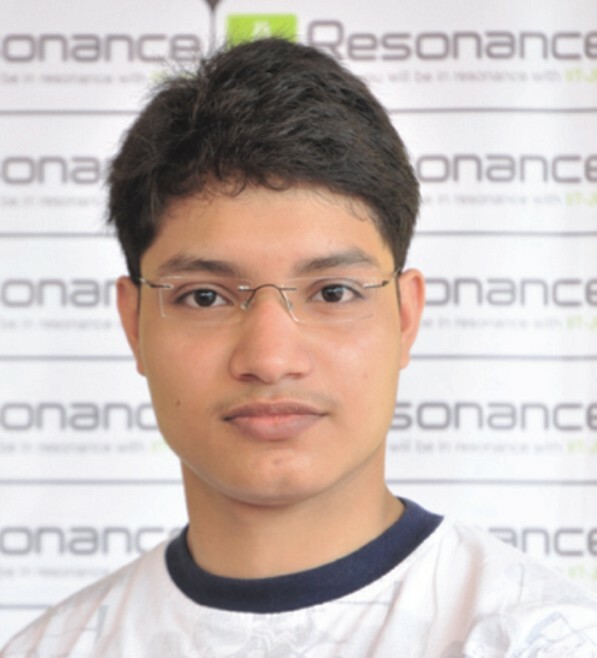 Thank you Resonance , I owe you my ALL India Rank in IIT-JEE 2006 ." 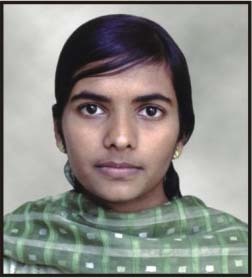 "I want to just give my thanks to all the teachers in Resonance who helped me in being successful in IIT-JEE 2006 . I think Resonance is the best place where I have studied so far . I have learned every thing that is not only about IIT-JEE but also about true life from a group of some of the best teachers who happen to be great human beings as well and are living their lives only for IIT-JEE aspirants . I again want to thank every person who is part of Resonance ." "The institute I am talking about is RESONANCE , '' which kept me in resonance with JEE '' and the result came when I got AIR-80 . 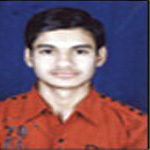 ALL my deams came true when I cleared JEE with such a good rank , it”s all happened because of my institute Resonance only .The pattern of teaching and the study material is nice enough and competent for any body to clear JEE .Though JEE is the toughest entrance exam at this level in the world , it is infact the exam which tests your concept , confidence and capability to take judgement in a limited time , and it is the Resonance only which trained us with such an ability to tackle JEE through periodic tests in JEE like environment and pattern . At last I simple want to thank all the faculty members of my institute . Since , it is only due to their efforts I got JEE rank -80 . I AM PROUD OF MYSELF TO BE A RESONITE . . . ."
"Strive on . History is full of instanceswherein victory would have been to the vanquished , if only they had battled a little longer ! We often fall because of lack of perseverance in our efforts . We leave our work half done in our impatience .Every job demands its quota of efforts . Never give up too soon .strive on until you win . Thats what you need to do from your side at Resonance to break into the IITs and that”s what you will require to do in the IITs itself . You need not worry about any thing else at Resonance . You will not find such brilliant teachers anywhere , not even in the IITs . The guidance and the teaching methodology are simple great . Learning here is so much fun ; even the most boring of the topics appear to be interesting . The tests are rigorous . They just really tests ofwhat metal you are made of . There were times when I just got frustrated when I didn't score well in them , but I just continued with my work , as I had learnt here . And the rest is history . The days I spent there were the best part of my life . I really wish I could be back there ." "Being in IIT is a dream come true . I owe my success to Resonance's guidance & teaching methodology . 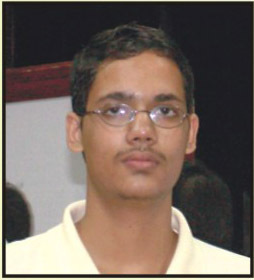 Resonance instilled confidence in me to take on IIT-JEE . In IIT Main , I felt like I am giving just another test of Resonance . This was due to the two years of continuous proper guidance , intensive coaching and practice which built the temperament to take on IIT-JEE . The boost up during the end-stage by the faculty members made it possible to get through the toughest copetitive exam in the country and getting a good rank in it . I feel great and proudto be taught by some of the best teachers of our country . Thanks RESONANCE ." "The main weapon needed to crack the tough shell of JEE is that of self confidence , and RESONANCE has done a brilliant job in boosting our confidence by conducting appropriate tests at just the right time . The lectures have always proved to be a treasure of knowledge and quintessential fundamentals . The time that I have spent in the sanctum sanctorum of this temple of learning has been one of the most enriching yet enjoyable moments of my life . I consider myself really lucky to have been a successful alumnus of this institute , which has undoubtedly been the bestdecision I made in my JEE preparation ." 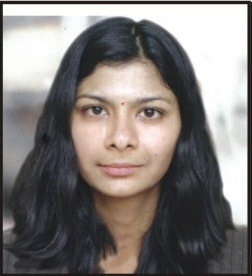 "Off course , Resonance helped me immensely in achieving this success . Before joining RESONANCE , I had never expected a good result from my self but this institute helped me in regaining my self-confidence . The teachers here are very hard working , helping and understanding . The pains taken by them , and theirs hard work always encouraged me also to do work hard . I have learnt here that the more sincere efforts you put in ,the better r"
"JEE is one of the exams . Which is more about the concepts . It doesn't matter how much you study but what you study for this you need a proper guidance . Resonance was the place where I got a proper guidance , a highly experienced faculty and a very intensive programme regarding for what you need to excel in JEE . Had it not been for the love and care I got from RESONANCE I think I would not have got that good rank . So thanks to RESONANCE ." "JEE is all about examination temperament , with the right kind of attitude one can achieve a decent AIR in JEE . Developing good analytical skills is necessry for getting into the right temperament . IIT is not about how much you can learn but about how much you can apply what you have learned . This requires a proper guidance through the syllabus not only a look at it . Attempting more and more questions in a test environment helps .RESONANCE helped me in all the corners ; be it an excellent and experienced faculty , the affable but competitive learning environment and the attitude to crack the toughest of problems . Thanks to RESONANCE for what I achieved ."